Trevor Phillips, head of the Commission for Racial Equality, has called for all citizens to "assert a core of Britishness". In an interview for the Times newspaper he said the term "multiculturalism" was of another era and should be scrapped. He pleaded for greater tolerance of Muslims and said "we must call them British". It follows a call by the Muslim Council of Britain to encourage Muslims to help in the fight against terror. Sermons were delivered in mosques across the UK on Friday saying terrorism had no place in Islam, while booklets being printed will remind Muslims of their obligation to help safeguard Britain's security. About 2,000 Muslims who attended a mosque in Regent's Park were said to be dismayed by about 20 British-born members of the extreme Islamic organisation Al Muhajiroun who burned Union Jacks outside. The newspaper reported Prime Minister Tony Blair told his Cabinet on Thursday it must win the hearts of Britain's Muslims citizens. One of the founding principles of the commission Mr Phillips oversees is multiculturalism - a policy followed by successive government since the 1960s. It was originally designed to strengthen engagement and relations between Britain's different ethnic communities. But Mr Phillips told the Times the term suggested "separateness" and was no longer useful in present-day Britain. "We are now in a different world from the 60s and 70s," he said. "What we should be talking about is how we reach an integrated society, one in which people are equal under the law, where there are some common values." "Britain's multicultural society where differences are celebrated and not exploited has been a great achievement and is the envy of Europe," he said. 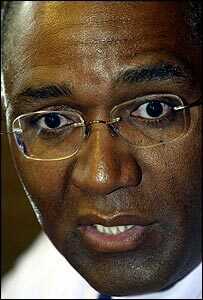 Britishness cannot be imposed on people of different races, cultures and religions, Mr Vaz added. "Imposing values and cultures is similar to the attitude adopted by the missionaries," he said. "British values have to be taught and encouraged across the whole of society and not just the ethnic minority community." A recent London Governance survey showed only 33% of Londoners cited multiculturalism as a source of pride. 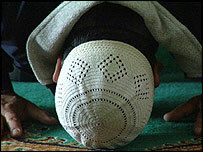 Mr Phillips also called for all Britons to embrace young Muslims with alternative outlooks. "Even if we disagree with their views on the Middle East, religion or anything else, they are all one of us," he said. "The first thing we must do is call them British, again and again, and again, tell them they are British Muslims and we accept them." He added Britain's perceived loss of some of its key historical figures in contemporary society was also likely to affect those who are new to living in the country. "For instance, I hate the way this country has lost Shakespeare. That sort of thing is bad for immigrants. "They want to come here not just because of jobs but because they like this country - its tolerance, its eccentricity, its Parliamentary democracy, its energy in the big cities. "They don't want that to change," he said.